The BBC Big Band performed to a sell-out audience at the prestigious Snape Maltings Concert Hall (capacity: 830) last Friday. 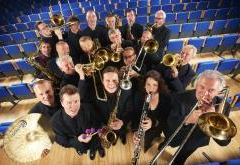 For further information on the BBC Big Band click here. Please note: we have a certain amount of flexibility with regards dates outside the above period (dependent on radio/recording commitments) - therefore please contact us should your preferred date fall outside the above UK tour periods. Widely regarded as the world’s leading and most versatile Big Bands, The BBC Big Band continues to delight audiences around the world through their broadcasts on BBC Radio and their live concert and festival performances. The Band has played with stars such as George Benson, Van Morrison, Georgie Fame, Tony Bennett, George Shearing, Michel Legrand, Phil Woods, Joe Lovano, Lalo Schifrin, Michael McDonald, Bob Brookmeyer and Ray Charles. 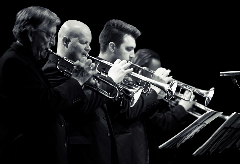 In addition to its regular studio and concert recordings, the BBC Big Band regularly gives live performances at major venues around the UK, as well as touring with major music artists abroad. Within the UK, the BBC Big Band is probably best known for its show Big Band Special on BBC Radio 2, as well its appearances on BBC Radio 3’s Jazz Line Up. Its performances also reach huge global audiences through its regular broadcasts for the BBC World Service, satellite radio and via the internet. Building on the strong reputation it has built up through performances on the UK and European festival circuit, the BBC Big Band has recently appeared at the Aberdeen, Gateshead, Cheltenham, Edinburgh, Great North and Brecon jazz festivals, as well as in annual concerts at London’s Royal Albert Hall, BBC Proms and Proms in the Park series.